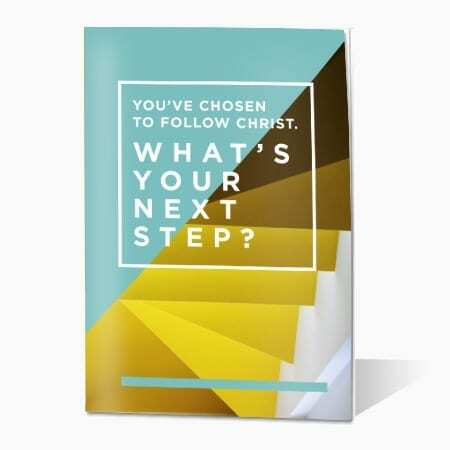 Download the customizable “Next Step Booklet Side Screen Slide” and display this graphic on your side screens when you give the opportunity to follow Christ. 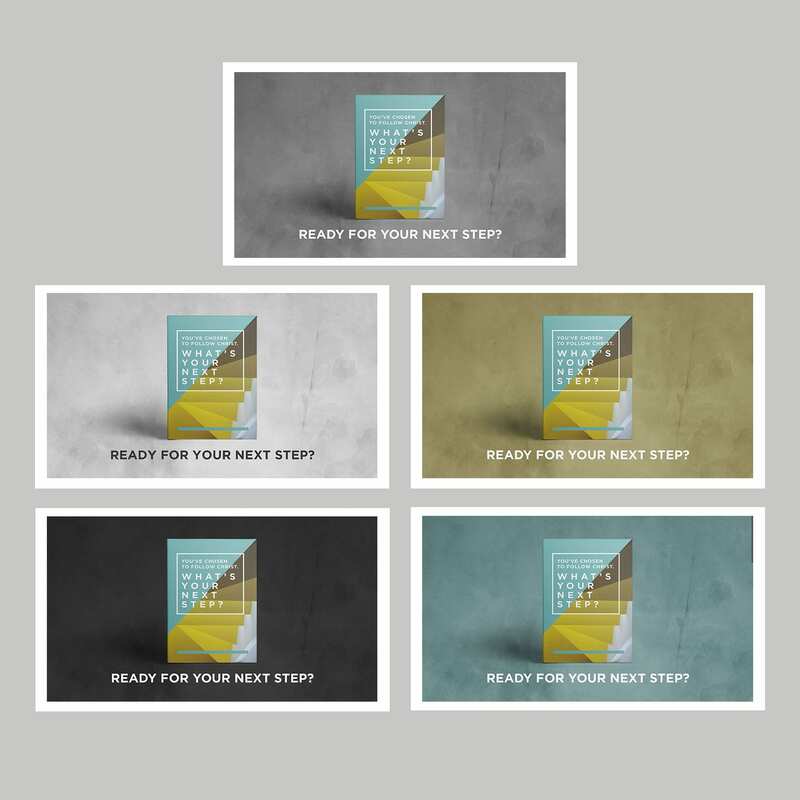 This simple graphic makes it easy for new believers to recognize the “Next Step Booklet.” The “Next Step Booklet” graphically outlines the decision made and the next steps new believers should take. The graphic comes with 5 different background color options. You will receive the Jpegs, Pdfs, and Adobe Suite Design File when you purchase this graphic.